The Fabric Shop is the place to purchase all your knitting requirements. 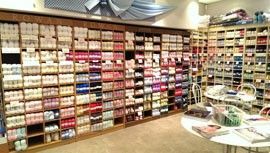 Our Worthing and Burgess Hill stores stock a wide selection of the latest yarns from all major spinners to meet your hand knitting needs. 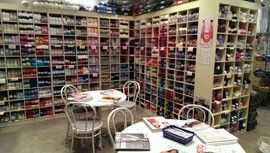 We carry a huge stock of yarns, as well as pattern leaflets and books, knitting tools and accessories. Our ranges include Sirdar, Sublime, Wendy, Robin, Peter Pan, Stylecraft, and Specialist Italian yarns from Adriafil, plus many more.